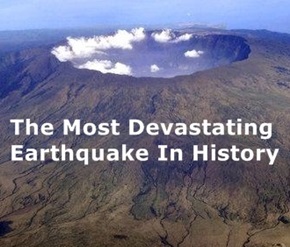 1865– The Mount Tambora volcano in the northern part of Sumbawa – one of the Lesser Sunda Islands of Indonesia – began a three-month-long eruption. With a Volcanic Explosivity Index of 7, the eruption was the most devastating in recorded history. The explosion was heard on Sumatra Island, more than 1,200 miles away. The eruption ultimately killed 71,000 people and affected Earth’s climate for the next two years. Before the volcano, it was more than 14,100 feet high, making it then one of the tallest peaks in the Indonesian archipelago. After the eruption, its height had been reduced to 9,350 feet. 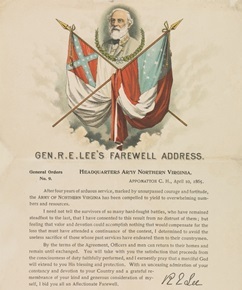 1865– One day after surrendering his army to Ulysses S. Grant at Appomattox Court House, Confederate General Robert E. Lee issued his farewell address to his troops. This is a bit lengthy but what became known as General Order No. 9 demonstrated the affection Lee had for his defeated army. But feeling that valor and devotion could accomplish nothing that could compensate for the loss that must have attended the continuance of the contest, I have determined to avoid the useless sacrifice of those whose past services have endeared them to their countrymen. 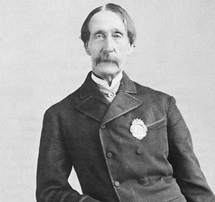 1866– The American Society for the Prevention of Cruelty to Animals (ASPCA), dedicated to preventing animal cruelty, was founded by Henry Bergh. The organization was created on the belief that animals were entitled to kind and respectful treatment at the hands of humans, and must be protected under the law. It is the oldest animal welfare organization in the United States. 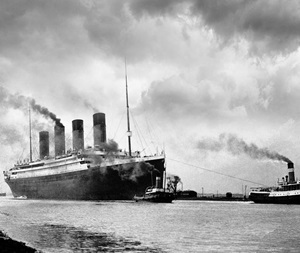 1912– RMS Titanic set sail from Southampton, England on her maiden – and only voyage. Of an estimated 2,225 passengers and crew aboard, more than 1,500 died after the ship collided with an iceberg five days after its departure, making it one of the deadliest commercial peacetime maritime disasters in modern history. 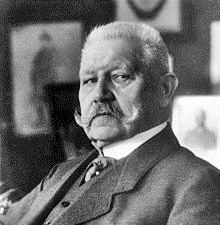 1932– Incumbent President, Paul von Hindenburg was re-elected to a second seven-year term as president of Germany. His major opponent in the election was Adolf Hitler of the Nazi Party. Hindenburg, who deeply distrusted and personally detested Hitler, had been motivated to run for re-election primarily by a desire to stop Hitler from winning the presidency. Nevertheless, following his re-election, Hindenburg failed to prevent the Nazis from assuming power. Two successive federal elections left the Nazis as the largest party in the Reichstag and Hindenburg reluctantly appointed Hitler as Chancellor of Germany in January 1933. 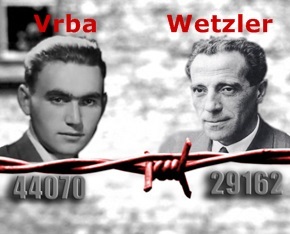 1944– Rudolf Vrba (tattoo 44070) and Alfred Wetzler (tattoo 29162) escaped from the Auschwitz II-Birkenau death camp. That may seem courageous but not altogether significant until you learn what the two men did when they arrived in Slovakia two weeks later. They wrote a detailed 32-page report about the mass murder that was taking place at the camp. The Vrba-Wetzler Report confirmed material in earlier reports from Polish and other escapees, but their story was unique in its “unflinching detail”. The Allies had been told on November 12, 1942 that Jews were being killed en masse in Auschwitz. The Polish government-in-exile forwarded intelligence about what was happening inside the camp, and the New York Times published a report to that effect two weeks later. However, it remained an “inside story” as a result of anti-Semitism and the British Foreign Office’s refusal to confirm the reports as genuine. The Vrba-Wetzler report changed all of that. It contained the most detailed description of the gas chambers to that point – a ground plan of the camp, construction details of the gas chambers, crematoriums and, most convincingly, a label from a canister of Zyklon B. The publication of parts of the report in June 1944 is credited with helping to persuade the Hungarian regent, Miklós Horthy, to halt the deportation of that country’s Jews to Auschwitz, which had been proceeding at a rate of 12,000 a day since May 1944. Distribution of the report is credited with saving the lives of over 200,000 of Hungary’s Jews. 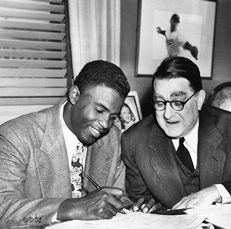 1947– Brooklyn Dodgers president Branch Rickey announced he had purchased the contract of Jackie Robinson from the Montreal Royals, paving the way for Robinson to become the first black to play in the major leagues. 1957– 12 Angry Men, directed by Sidney Lumet and featuring an all-star cast of Henry Fonda, Lee J. Cobb, E.G. Marshall, Jack Warden and Ed Begley, premiered at the Fox Wilshire Theater in Beverly Hills. The film was nominated for Academy Awards in the categories of Best Director, Best Picture, and Best Writing of Adapted Screenplay. It lost to The Bridge on the River Kwai in all three categories. 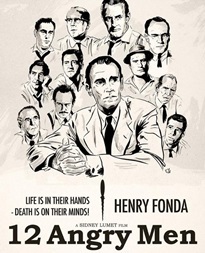 12 Angry Men was selected as the second-best courtroom drama ever (behind To Kill A Mockingbird) by the American Film Institute. 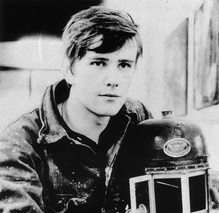 1962– Stuart Sutcliffe, the original bass guitarist for the Beatles, died of a brain hemorrhage at the age of 21. In July 1961, Sutcliffe – a gifted painter – enrolled in the Hamburg College of Art in Germany but soon began to experience crippling headaches. The cause of the headaches is unknown, although it may have been started by a head injury when he was either kicked in the head, or thrown, head first, against a brick wall during an attack after a performance in January 1961. Sutcliffe sustained a fractured skull in the fight but refused medical attention at the time and failed to keep an X-ray appointment. The Beatles’ compilation album Anthology 1, released in 1995, featured previously unreleased recordings from the group’s early years. Sutcliffe played bass with the Beatles on three songs they recorded in 1960: Hallelujah, I Love Her So, You’ll Be Mine and Cayenne. 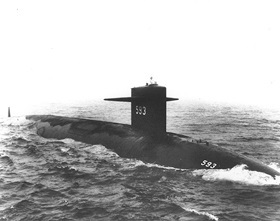 1963– USS Thresher, a nuclear powered submarine, sank 220 miles east of Cape Cod, MA, killing 129 men, including 17 civilians. While conducting routine underwater safety tests, Thresher lost contact with the submarine rescue ship Skylark after sending garbled communications over underwater telephone indicating ” … minor difficulties, have positive up-angle, attempting to blow,” and then a final even more garbled message that included the number “900” which more than likely signified that Thresher was 900 feet below her test depth of 1,300 feet, meaning the submarine was 2,200 feet below sea level. When Skylark received no further communication, surface observers gradually realized Thresher had sunk. A robotic survey showed that the depth Thresher dropped to had caused an implosion and instant – and total – destruction. 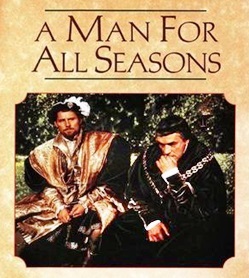 1967– At the 39th Academy Awards, A Man For All Seasons won 6 Oscars, including Best Picture, Best Director (Fred Zinnemann), and Best Actor (Paul Scofield). Elizabeth Taylor won Best Actress for Who’s Afraid of Virginia Woolf?. 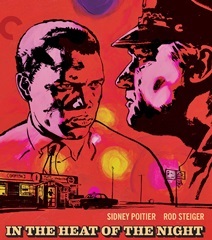 1968– At the 40th Academy Awards, In the Heat of the Night won Best Picture and Rod Steiger won Best Actor for his performance in the film. Katherine Hepburn won Best Actress for Guess Who’s Coming to Dinner. 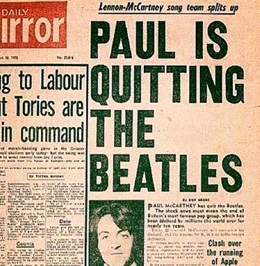 1970– Paul McCartney announced his resignation from the Beatles, one week before the UK release of his solo album McCartney. McCartney issued a printed “self-interview” with advance promotional copies of the solo album. Some of the answers to the interview questions came across as petty and self-serving. The world may have been shocked but John Lennon, who had kept his much-earlier decision to leave the group quiet for the sake of the others, was furious, feeling (justifiably) betrayed by McCartney’s pre-emptive strike, which obviously was aimed at obtaining maximum momentum for McCartney himself. 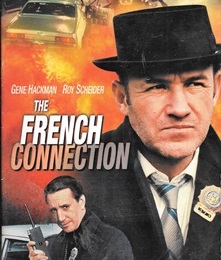 1972– At the 44th Academy Awards, The French Connection won three major Oscars; Best Picture, Best Director (William Friedkin), and Best Actor (Gene Hackman). Jane Fonda won Best Actress for Klute. 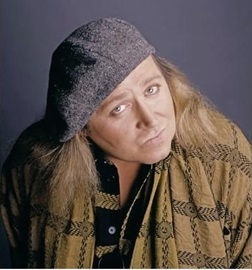 1992– Comedian Sam Kinison, known for his intense, harsh and politically incorrect humor, died at the age of 38 after his car was struck head-on by a drunk driver about 15 miles northwest of Needles, California. 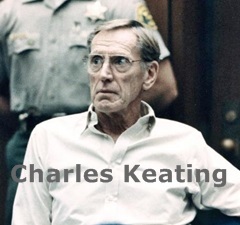 1992– A California Superior Court judge sentenced Charles H. Keating Jr. to 10 years in prison for duping depositors at the Lincoln Savings and Loan Association into purchasing high-risk junk bonds issued by Lincoln’s parent company. The institution’s failure, which was not directly linked to the bond sales, would ultimately cost taxpayers $2.6 billion. In April 1996, the 9th U.S. Circuit Court of Appeals in San Francisco ruled the judge had given the jury faulty instructions about the law regarding fraud. The conviction was overturned and Keating was freed after serving over 4 years. The name of that judge? None other than Lance A. Ito, the presiding judge in the O.J. Simpson double murder trial. He made a few mistakes in that trial, too. 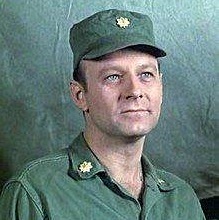 2000– Actor Larry Linville, best known for his role as Major Frank Burns on M*A*S*H, died from complications after cancer surgery. He was 60. 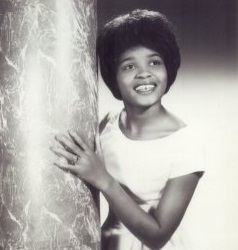 2003– Singer Little Eva of cervical cancer at the age of 59. As a teenager, Eva Boyd worked as a maid and earned extra money as a babysitter for songwriters Carole King and Gerry Goffin. It is often claimed that Goffin and King were amused by Boyd’s particular dancing style, so they wrote The Loco-Motion for her and had her record it in 1962 as a demo (although the song was intended for Dee Dee Sharp). At the high point in her career, Boyd’s weekly salary was $50 plus expenses. When she quit the music business in 1971, she returned home to North Carolina a penniless single parent of three young children. She found employment as a housekeeper, caretaker and cook. Too bad Vrba & Wetzler hadn’t escaped sooner. Why it took so long for the world to acknowledge what was happening is beyond my understanding. Little Eva’s treatment was reprehensible. Too bad they had to escape and make that report public before the Allies did something about it, Pat. Little Eva’s treatment was very typical of the recording business, especially for blacks, in that era. So many musicians were taken advantage of. Penny, the Allies were certainly the “good guys” but they all did so much that was wrong.